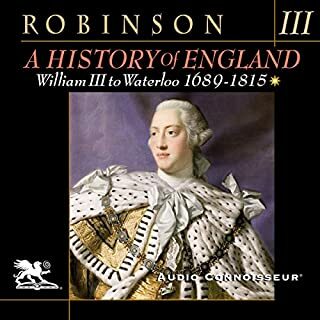 In volume three of Cyril Robinson's famous history of England, we now enter a crucial phase in which political and economic power both change hands. Parliament now dominates the nation's political discourse, and, led by its brilliant Whig leader, Robert Walpole, this party maintains itself in power for a century. It is a stagnant century of corrupt politics and even more corrupt government magistrates and bureaucrats. But it is also the century that will usher in the greatest change humankind has ever seen. The history of England can be said to have begun with the arrival of Julius Caesar in 54 BC. 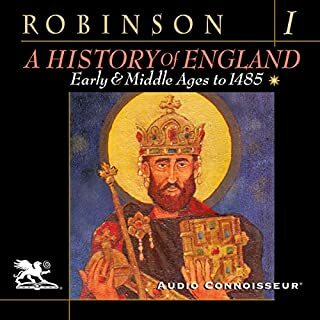 Four hundred years later, Romano British civilization came to an end with the withdrawal of Roman military protection and the onslaught by successive waves of Germanic invasions. Angles, Saxons, Jutes, Danes, and Norsemen ravaged Britain for almost 500 years. The native Celtic peoples were displaced and driven westward into present-day Wales, where their descendants dwell to this day. Cyril Robinson's magnificent history continues with volume two in this four-part series. We now follow the fortunes of two great royal dynasties: Tudor and Stuart. Great names from England's past tumble out one after the other. Henry VIII takes the English out of the Catholic fold. His daughter, Elizabeth, defeats the Spanish Armada of 1588. The arrogance of Charles I leads him to the scaffold. Civil War and Puritanism follow, led by the intrepid Oliver Cromwell. 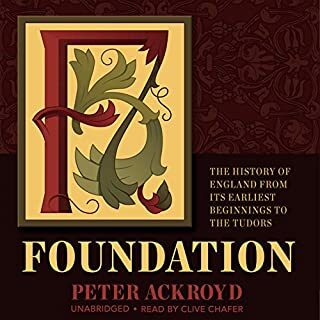 In Foundation the chronicler of London and of its river, the Thames, takes us from the primeval forests of England's prehistory to the death of the first Tudor king, Henry VII, in 1509. He guides us from the building of Stonehenge to the founding of the two great glories of medieval England: common law and the cathedrals. He shows us glimpses of the country's most distant past - a Neolithic stirrup found in a grave, a Roman fort, a Saxon tomb, a medieval manor house. 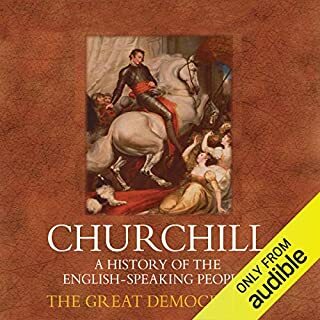 The fourth and last volume in Churchill's famous account spans 1815 to 1901. It closes when the British Empire is at its peak, with a staggering one-fifth of the human race presided over by the longest reigning monarch in British history: Queen Victoria. A fitting conclusion to Sir Winston's narrative. The story of the Roman Republic is the greatest epic in human history. Seen in the long perspective of time, it seems too fantastic to be real. From her modest beginnings as a convenient fording place on the Tiber to her eventual destiny as the mistress of the Mediterranean, Rome offers a strange tale of fate, sacrifice, and indomitable willpower. The stern realities of war shaped Rome's policies from the very beginning. 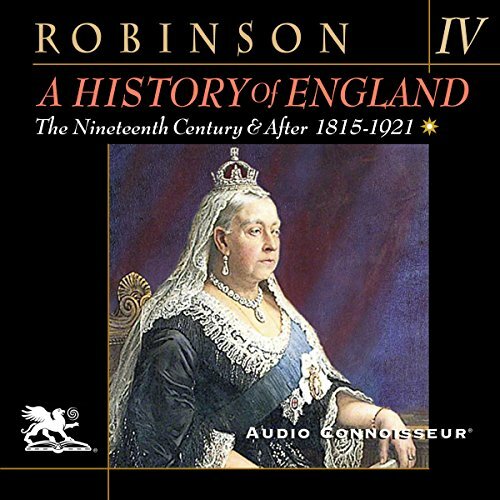 C. E. Robinson's celebrated history of England comes to a stirring conclusion with volume 4. The 19th century witnessed some of the most far-reaching social and political changes in English history. 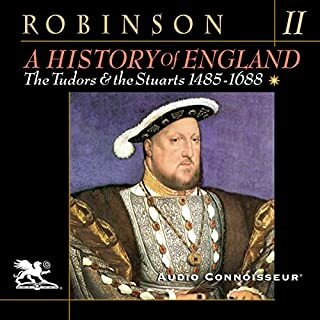 In volume 4, we trace the arc of England's march to worldwide imperial dominance along with the nation's reckoning with her poorest citizens. It is a story of contrast and courage. The contrast is between those with titles, money, and power...and those lacking any or all of these. Courage is reflected in the political leadership of men like Peel, Disraeli, and Gladstone, who understood the urgent need for reform...and carried it out. Militarily, the British show equal courage in engagements with Russia and Germany, with outstanding contributions from men like Jellicoe and Kitchener. It is a century that finally revealed the promise of the previous century's burgeoning industrial prowess by spreading those benefits broadly enough to lift everyone's standard of living by the 1860s. But throughout, the ongoing tragedy of Ireland continues to weigh on the public conscience until bold leadership finally grants the Irish home rule in 1921. But even as the English nation moves from one triumph to another in the various spheres of literature, art, architecture, science, engineering, politics, and overseas trade and expansion, the 19th century ends on a sour note. The Boer War in South Africa brings renewed awareness that imperialism brings with it staggering responsibilities (as previously revealed by the midcentury Indian Mutiny). And barely was that costly, bloody conflict brought to a conclusion before the looming struggle with Germany came into focus. Well narrated. Beautiful rethorical prose. Excellent coverage with political and military details, and good descriptions of the social milieu of the times. If you could sum up A History of England, Volume 4: The Nineteenth Century and After: 1815-1921 in three words, what would they be? Illuminating, Thought provoking. Written in the 1920's this is the 19th century from the perspective of a mind formed largely within it and at the height of British imperialism. Well written and full of detail, it's an invaluable find for those who want to see the century from the point of view of one who grew up in it and as he saw it. 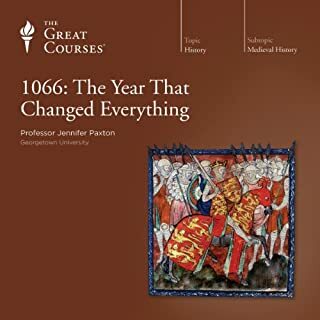 What was one of the most memorable moments of A History of England, Volume 4: The Nineteenth Century and After: 1815-1921? Too many to relate here. What about Charlton Griffin’s performance did you like? It takes a few minutes to get used to his voice and tone but it adds greatly to the experience of setting the book and subject in its time. No. It's too long for that. I'll gladly listen to it again. Not for apologists or the politically correct but the more enjoyable for that. As I listened it came across as refreshing rather than dated.